12 Marine Rubber Ducks are great gifts for military service members and their families! 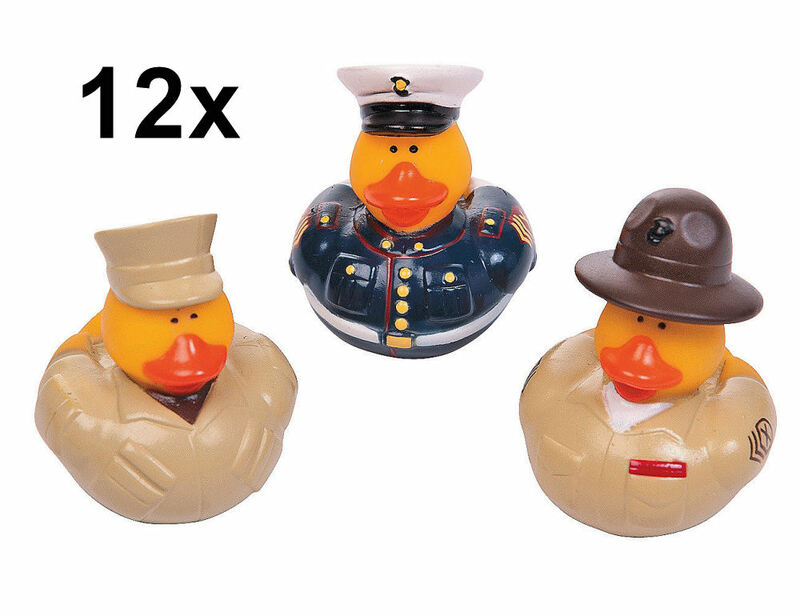 Hand them out in party favor bags at a Marine ball or birthday party, or just add them to your own rubber ducky collection! They're a cute way to celebrate some of America's bravest heroes. Check out this website for our huge selection of rubber duckies to mix and match. Vinyl. 2 inch duckies do not float upright.